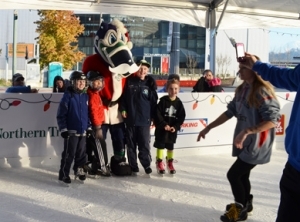 Franciscan Polar Plaza is back for its fourth year. Enjoy ice-skating in downtown Tacoma, located across the street from the museum. 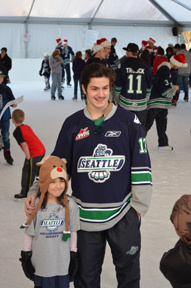 Stop by and skate with the Seattle T-birds and Cool Bird! Visit PolarPlaza.com for the latest calendar of events. Generous support is provided by Columbia Bank, City of Tacoma, and Titus-Will. Additional support is provided by Annie Wright Schools, Gordon Thomas Honeywell, Greater Tacoma Community Foundation, Korsmo Construction, and Murray Pacific Corporation.